The walls within the Kieran-Sistrunk Fine Art Gallery are illuminated with vibrant colors and intricate details that have been splashed onto exceptional paintings. Owners Mark Kieran and Susan Sistrunk encourage individuals to step away from their everyday tasks and relax by enjoying vibrant art during their grand opening March 1 from 4 p.m. – 9 p.m. at 2120 Washington Ave.
Kieran and Sistrunk have breathed new life into an old, two story house built in 1910. Today, the chestnut stained walls gleam with the perfect blend of vibrant colors in Kieran and Sistrunk’s original paintings. To the right of the main gallery, there is a small room that has been converted into a boutique/work space. The cozy room has one window, which faces the doorway and illuminates the details in beaded necklaces, colorful tunics and Kieran’s handmade leather bags. This space is the home of Kieran and Sistrunk’s Wandering Artisians Boutique. Even in the rainiest days, this vibrant room exudes feelings of awe and joy for those passing by. Out back is a spacious backyard, which is currently being converted into a serene garden. Kieran and Sistrunk are working towards transforming this grassy space into a tranquil retreat for yoga and meditation. One of the primary reasons that they opened the gallery was to provide a comfortable space for individuals to step away from their fast paced lifestyles and find tranquility through art. Before owning the gallery, Kieran and Sistrunk felt weighed down by the fast-paced life style which accompanied their demanding jobs. It was upon leaving these high stress environments, that they found a new love and appreciation for life. “[Opening our own gallery] seemed like an impractical goal when you think about how hard it is to make a living as an artist, but I think that if you’re passionate about something, then it will unfold,” Sistrunk said. 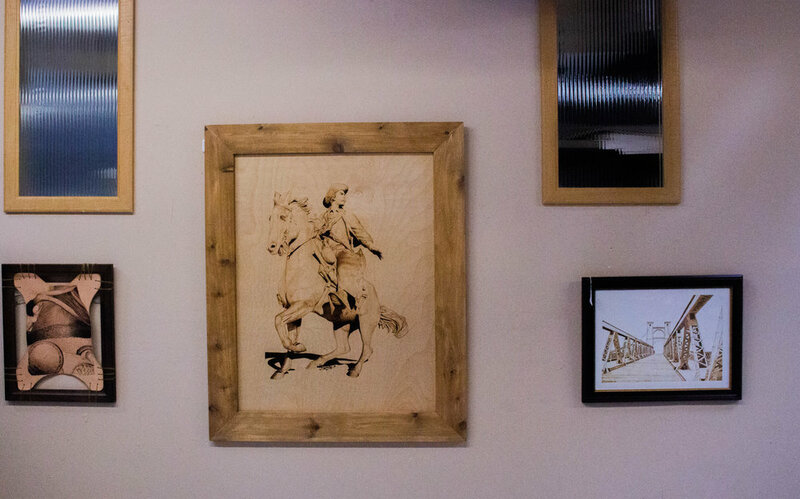 While Kieran and Sistrunk are new to owning a gallery, they are quite familiar with the eb and flow of Waco’s art community, as they have been residents for many years. Due to their active involvement within the arts community, they have noticed a change in the artistic climate within the past five years, predominately in past two years. They largely accredit this to Fiona Bond, Creative Waco’s executive director. Bond helped Waco be recognized as a cultural arts district. Since this achievement, the individual artists and the arts community as a whole have flourished. “The more of something you have in a community, the more illumination you can bring,” Kieran said. “I just think it’s cool that Waco is moving in an artistic direction because it brings so many different views together and allows people to be more open minded about things.” Likewise, Kieran and Sistrunk aim to give artists a platform to express their individual views and talents through solo exhibitions. On April 5, Deborah Reed-Propst, a mixed media artist, will have the first solo exhibition at Kieran-Sistrunk Fine Art Gallery, lasting one month. Her exhibition will showcase 25 pieces; 13 are brand new and at least eight are retro pieces, one from each of her eight series. “I’m doing a new piece right now [that features] a jelly fish,” Propst said. “I always choose watercolors when I do an under the sea painting because the watery, blended and flowy character of watercolor works well with fish, coral and jellyfish.” Propst selected this gallery to unveil her new works because she has been friends with Kieran and Sistrunk for many years and believes that the gallery is beautiful and comfortable. Kieran and Sistrunk also plan to educate the Waco community by hosting Mala necklace workshops, a beginning meditation class, yoga classes and artist gatherings. 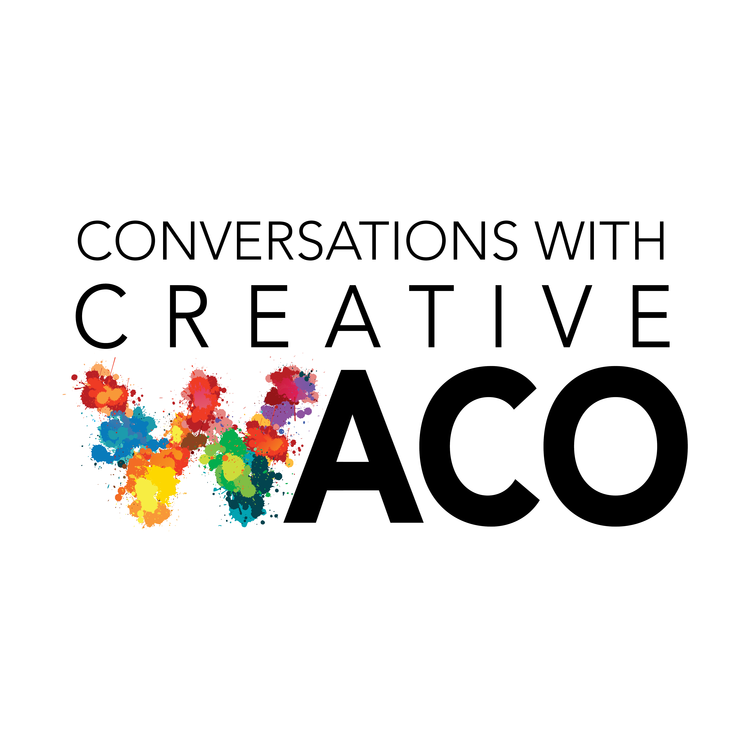 For this month’s Conversations With Creative Waco, we learned how to find out about the awesome things going on in Waco and McLennan County, and spoke to Samuel Thomas, Co-Director of Deep in the Heart Film Festival about how to hit the highlights like a VIP. Waco’s third Deep in The Heart Film Festival is taking over the city March 28 – 31. This event brings film makers from all over the World to Waco. During the four-day festival, you can catch film screenings, parties and panels taking place at the Hippodrome and other venues throughout downtown’s cultural district. The festival is an opportunity to see independent movies (short movies and feature length films) that you can’t see at a regular movie theater or online. And you can meet (and even walk the red carpet with) the film makers, writers, actors, directors and producers. Whether you’re an avid movie watcher or looking to attend a new to do in town, this is the event will not disappoint! With genres ranging from comedy, animation and everything in between – the 111 film lineup caters to all. If you’re hesitant, don’t worry about “not getting it”, the team at Deep in the Heart purposefully selected relatable, story-driven films that are meant to connect with all audiences! You can buy tickets to “blocks” of films with connected themes, or treat yourself and get a VIP pass to all the movies, events and parties. Rub shoulders with the next Tarantino, or dip chips with the next Emma Stone. Grab your tickets today and immerse yourself in the world of film for a weekend! Learn more about what to expect from this year’s film fest by tuning in to Conversations with Creative Waco where Rae Jefferson sits down with festival co-founder, Samuel Thomas. Until then, if you’re looking for ways to get involved in Waco’s creative community, check out these resources! Waco App – Perfect way to find out events, dinning, and shopping close to you or across town. Available on Apple and Android phones. Local App – Created by Facebook, it’s an easy way to keep up with what’s happening locally and discover what events your friends are interested in. You may have noticed the influx of all things fluffy, pink and heart-shapped because Valentine’s Day is right around the corner – tomorrow to be exact. For those looking to step outside the box, Waco is buzzing with creative events! Whether you’re spending the day with your significant other, gal-pals, or celebrating #selflove, we’ve put together a list of special arts events for everyone. If you’re the type that would rather wait until the weekend to avoid the V-Day crowd we’ve got you covered too! Art Forum of Waco | 10 a.m. – 6 p.m.
For Valentine month, the Art Forum of Waco is hosting an international exhibition of art in various forms related to the heart. Find artwork from Brazil, Mexico, and Venezuela, as well as Texas and New Mexico. Balcones Distilling | 5 p.m. – 7 p.m.
Catch local musicians Evan Klaras & Greg Bashara and enjoy a glass of whisky. Open to couples, singles and groups. Martin Museum of Art, Baylor University | 5:30 p.m. – 7:30 p.m. The Martin Museum of Art is hosting a special Valentine’s Day event in connection with The Neoclassical Gaze exhibit, which will include Torch-lit guided tours, valentine printmaking, live music, and hors d’oeuvres. Print your own Valentine’s Day card between 2 - 5 p.m. Tours are at 5:30 pm, 6 pm., 6:30 pm, and 7 pm. The Findery | 6 p.m. – 8 p.m. The perfect gal-pal event! 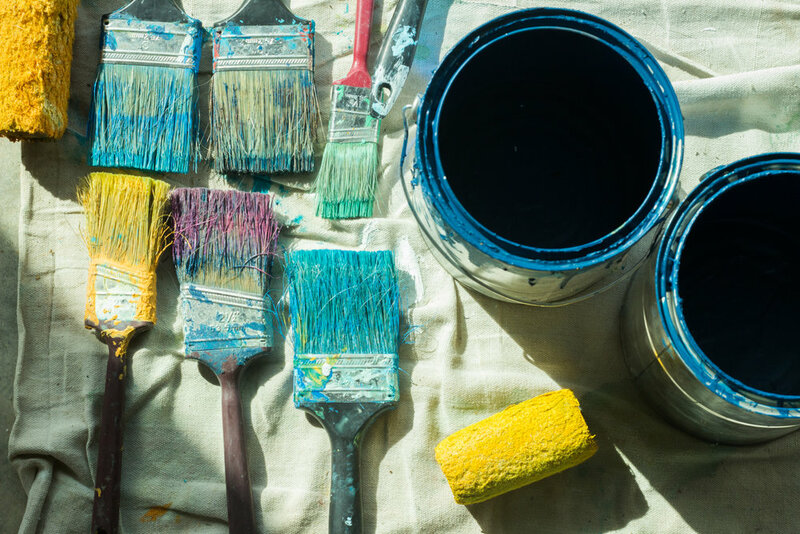 Join The Findery for a chalk painting workshop where each participant will create a beautiful DOUBLE-SIDED door hanger, and learn distressing techniques and waxing. Enjoy heavy hors d’oeuvres and drinks to enjoy while you paint. Spots are limited! Bare Arms Brewing | 6:30 p.m. – 8:30 p.m. Whether you’re solo or with a date, enjoy a pint of Bare Arms’ special Pomegranate Joule as you paint. Open to all painters – amateur, experienced or somewhere in between. This is a fun place to experiment, and enjoy yourself. Klassy Glass | 7 p.m. – 9 p.m. The event will feature live music, spoken word, featuring Mike Guinn, comedy and an open mic for those who want to make a love declaration to that special someone. The ticket will include dinner, wine and a show. Cultivate 7twelve | 6 p.m. – 8 p.m. Celebrate the opening of a special two-week exhibition that features art from Waco’s Mammoth Collective artists. Mammoth Collective is an up and coming group of young female artist in Waco who are creating work that is symbolic, vulnerable, and modern. Enjoy light bites, drinks and mingle with some of these talented women and discuss their art. Taste by Kissing Tree Vineyards | 6 p.m. Enjoy wonderful wine, live music by Jennifer Pisarcik & Jon Fox and delicious fine dining! Waco Hippodrome | 7 p.m.
A young Englishman in the Paris of 1899 becomes infatuated with Satine, a singer at the Moulin Rouge. However, she has been promised by the manager to a Duke in return for funding his next production. As the young lovers meet in secret, Satine’s wedding day draws closer but she hides a fatal secret from both Christian and the Duke. Support the Waco Civic Theater’s fundraiser. Brazos Theater | 7:30 p.m.
A night of love, marriage, and murder, where EVERYONE plays a role. Will you be the Mother of the Bride, the groom’s cousin or the Bride’s childhood friend? As friends and family come together for a very special evening, it will quickly turn into a night of mystery and mayhem – leaving one of the guests murdered! As the night progresses, secrets will be revealed, motives exposed and your sleuthing skills will be put to the test. Book your tickets and help solve the murder! Klassy Glass Wine and Bistro | 8:30 p.m. Listen to The Dave Wild Trio while enjoying a glass of wine and small bites. Cultivate 7twelve | 2 p.m. – 4 p.m. Enjoy selections from local poets or share your favorite poem during open mic. Jubilee Theater | 7:30 p.m. The play focuses on a jury’s deliberations in a capital murder case. A 12-man jury is sent to begin deliberations in the first-degree murder trial of an 18-year-old man accused in the stabbing death of his father, where a guilty verdict means an automatic death sentence. Catch the play at 7:30 p.m. Feb. 15-16 and 2:30 p.m. Feb. 17. Hooper-Schaefer Fine Arts Center, Baylor | 7:30 p.m.
Tony-winning “Peter and the Starcatcher” brings to life the origin story of Peter Pan, and playfully explores the depths of greed and despair… and the bonds of friendship, duty and love. Catch the play at 7:30 p.m. Feb. 14-16 or 2 p.m. Feb. 16-17. Find out more events happening around town year-round on our calendar page! February 1 marked the beginning of Black History Month – a time when the nation celebrates and honors the contributions African Americans have played in shaping U.S. history. As we spend the month highlighting nationally recognized African American figures, it’s also important to highlight those who have helped to shape the culture in our community. It’s no secret that Waco has produced many notable figures (i.e. Doris Miller, Steve Martin, Chip and Joanna Gains, and Jennifer Love Hewitt to name a few). Here are some African American cultural influencers in a range of art forms that we are proud to spotlight as sons and daughters of Waco . We know there are more, too. Please be sure to celebrate them and share their stories with us. Julius Bledsoe, a Waco native, known as an exceptional singer and composer that challenged the racial climate of the early nineteenth century. Born in 1897, Bledsoe grew up singing in the New Hope Baptist Church. Kermit Oliver is a Texas born artist and painter. Oliver moved his family to Waco in 1984 where he worked night shifts as a U.S. Postal worker until he retired in 2014. Oliver’s artistic career began in the 1960s when he was an art student at Texas Southern University in Houston. Within 10 years he became the first black artist represented by a major gallery in Houston. As his art gained popularity selling for tens of thousands of dollars, he continued his schedule of working nights at the post office and painting in the morning. 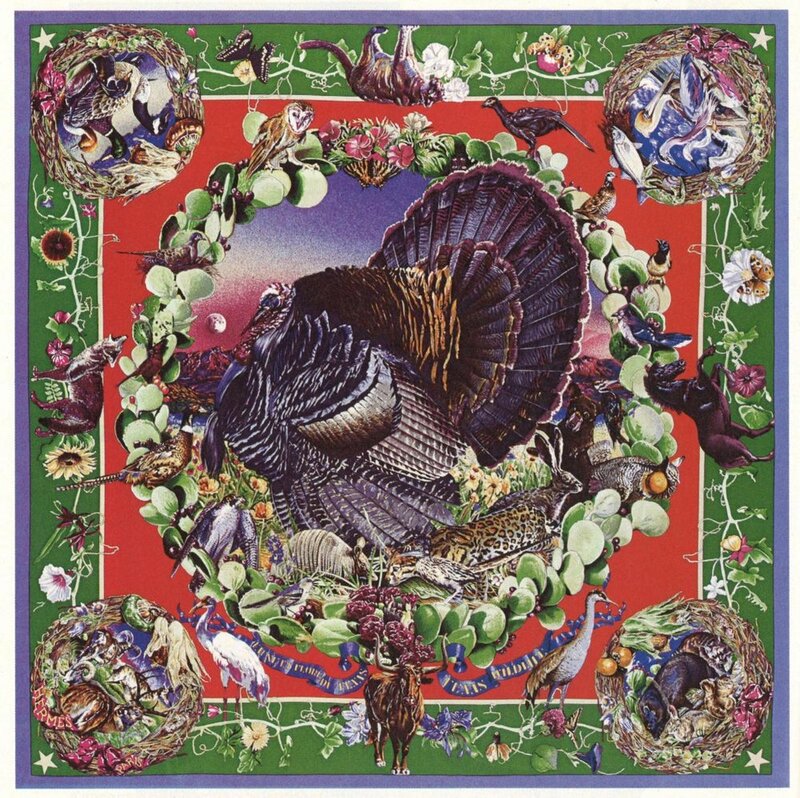 Soon after, Hermès reached out to Oliver to design a collection of Southwest-themed scarves. Oliver became the only American in history to design scarves for the French fashion house – more specifically, 17 designs over 32 years. Since retiring from the postal service, Oliver has continued to paint. More recently, he was recognized as the official Texas State Two-Dimensional Artist for 2017 and his painting “Tobias” is exhibited at the National Museum of African American History and Culture in Washington D.C.
Classie Ballou, a Lake Charles, LA native musician, is known as a musical pioneer combining the blues, jazz and zydeco to create his unique style. During his musical career spanning five decades he has performed across the country and throughout Europe alongside many musical greats like Etta James and Chuck Berry. Ballou’s legacy in Waco dates back to the civil rights era when he performed in famous Walker’s Auditorium, the only black night club in town. From there he earned himself a residency performing at the club and has been in Waco since. As his family grew, many of his children and grandchildren continued in the musical footsteps of their family patriarch. For many years Classie Ballou and the Family Band have graced the stage together across Central Texas and at the New Orleans Jazz Fest. His daughter CaCean plays the guitar, saxophone, and drums; son Cedric plays bass; grandson Cedryl plays the accordion and drums; grandson Cam’Ron is the front runner on drums and has been playing since he was 3. Look out for the Ballou family performing around town! Kay Bell has been a part of the Waco community for nearly a decade. Her passion for poetry and creative arts has driven her to organize Open Mic Poetry events across town. In January 2019, Bell presented her first stage play “Born to Win” to a sold-out crowd at the Waco Hippodrome during Martin Luther King weekend. 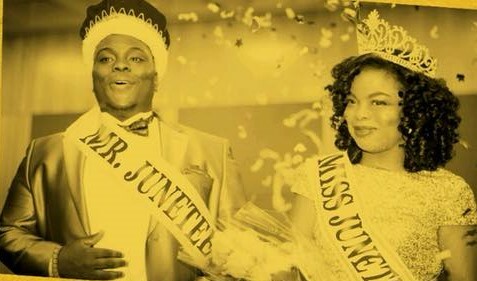 Due to overwhelming support from the community it will be shown again Feb. 22 at the Jubilee Theater. Bell continues sharing her love for the creative arts by teaching Theater Arts at Connally Junior High School. Tashita Bibles is an artist, poet, and Waco native. Bibles views her poetry as her diary, and art as her therapy. She credits God and her love for poetry and art for helping her through “a low point in life.” In February 2018, Bibles started her business, Artist-N-U as a way to share her artistic gifts with the community. Bibles’ paint parties aim to celebrate creativity by making art accessible to all age groups. She aspires to make the world better one painting at a time. Bibles was recognized by Global Revive at their 2019 Martin Luther King Jr. Empowerment Banquet for her artistic talents. Ashley Brooks, creatively known as Ashley Artisan, is a Waco transplant from Memphis, TN. Growing up in a city filled with a rich history of art, music and black culture allowed Ashley to connect with herself and the true expression of art and music. Further supported by her father, a recording artist, and mother, a phenomenal “closet poet”, Ashley quickly discovered music and art were her passions. She has since focused her talents on rapping, producing music, and illustrating the artwork for her projects. Ashley released her first song “Never Let Me Go” in August 2018 with many more in the works for this year. Blake Brooks is a Waco native with longstanding ties to the city’s music community. Blake spent his younger years crafting his talents at Antioch Baptist Church under musical guidance from his father Thomas Brooks. Not only has Blake become a master of the bass, he also plays guitar and many other instruments. As a musician he has performed alongside well-known recording artists such as Ricky Dillard, Kim Burrell, Brent Jones, and more. 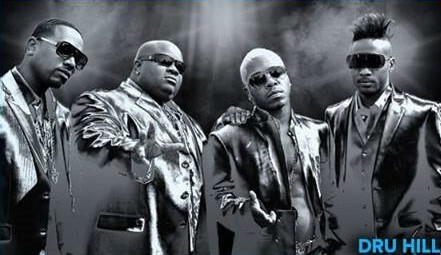 As a unit, the Brooks enjoy creating music together and believe their bond adds a unique element to their sound. “It's an unreal experience to be able to do music with your best friend and the love of your life,” Ashley said. “It brings such a deep and intimate connection in the music.” In 2016, they created Good Vibes Waco, an entertainment company focusing on cultivating the talents of emerging artists in town. They host open mic nights, jam sessions and other live music events around Waco at venues like Common Grounds, The Jubilee Theater and Pinewood Roasters. Born and raised in Dallas, Texas, Tori Ewing is a graduate student at Baylor University working towards a M.A in Communication with an emphasis on film & digital media. After spending the spring of 2017 interning at Sesame Street Workshop, she found a passion for creating and producing quality children’s media. Ewing hopes to one day own her own children’s production company. Her first project (completed 2018), a pilot TV show for young kids called The Topaz Troop, was selected to enter the Kid's First Film Festival based in New Mexico, and recently received a Silver Award for Best Children's Short and a Bronze Award for Best Web Series/TV Pilot in the Independent Shorts Awards in Los Angeles. Andreas Zaloumis and his family are fairly new to Waco with December 2018 marking their first year in the community. Zaloumis credits Waco’s small town, family feel and growing entrepreneurial support as the driving forces pulling the family from Houston to Waco. For Zaloumis, his interest in photography started as he captured photos of his young daughter, Kora. His style of photography highlights the natural textures and “perfect imperfections” of his subjects by utilizing minimal staging and editing. Zaloumis also creates short videos documenting sceneries around town and local businesses, such as Fox & Gray. When he’s not snapping photos, you can find Zaloumis at his coffee cart, Thrst (also known as Third Space Theory Coffee), located in Cultivate 7twelve or pursuing his other passion in fashion, designing clothes and shoes. Check out some of his work here! In January’s edition of Conversations with Creative Waco we had the chance to sit down with local musician and jazz leader, Chuck Jennings to hear about all things music, jam sessions and Waco’s jazz scene. Jennings was initially a self-taught guitarist before winning a place at prestigious Berklee College. Throughout his 38-year career as a full-time musician, Jennings has lived in many major music hubs from Los Angeles to New York City. As a current Waco resident, Jennings’ partnership with the Central Texas Jazz Society has been instrumental in pulling together a community of top notch jazz musicians that are passionate about performing improvisational jazz in downtown Waco. You can find Jennings and other local jazz artists at Cultivate 7twelve on the last Wednesday of each month for an improv jazz jam session. When he’s not performing at Cultivate 7twelve, catch Jennings performing around Waco at various venues like Waco Winery, Klassy Glass, and the High Top at the Hippodrome. Born in 1929 in East St. Louis, an area known for its “blues-drenched” music scene, Miles Davis began playing the trumpet at age 13. As both bandleader and trumpeter, Davis was a major pioneer in the jazz world earning himself eight Grammy Awards and 32 nominations. Check out a mix of Miles Davis’ best hits here. Chuck Jennings (far left) plays alongside other local artist at Cultivate 7twelve’s monthly jam sessions. John Coltrane was a renowned saxophonist, bandleader and composer credited with shaping the jazz scene in the 40s and 50s. Coltrane worked alongside other greats like Dizzy Gillespie, Duke Ellington and Miles Davis. Check out a mix of John Coltrane’s best hits here. Joe Henderson, tenor saxophonists and composer, emerged as one of the most influential jazz artists in the 1960s. Henderson could be described as a renaissance man – creating a distinct sound independent of the style typically performed by saxophonists of that era. Check out a mix of Joe Henderson’s best hits here. Born in Allentown, Pennsylvania, Keith Jarrett like many young jazz artists of the 60s moved to New York City to further craft their skills. Jarrett gained major recognition in the late 1960s, after performing with jazz greats Miles Davis, Art Blakey, and Charles Lloyd. Due to his wild and melodic improvisational jazz style many considered Jerrett one of the most original musicians of the late 20th century. Check out a mix of Keith Jerrett’s best hits here. Wayne Shorter is a noted jazz composer and musician who plays both the soprano and tenor saxophone. Shorter played alongside other notable jazz figures like John Coltrane, Miles Davis and Herbie Hancock, and co-founded Weather Report, a jazz fusion group. Recognized as a jazz fusion pioneer, Shorter has received nine Grammy Awards. Check out a mix of Wayne Shorter’s best hits here. Find Chuck and Central Texas Jazz Society at Cultivate 7twelve on the last Wednesday of each month for jazz jam sessions. Photo Courtesy of Waco Symphony Orchestra and Events in Waco. Waco Symphony Orchestra hosts The Nutcracker on Dec. 9. Photo courtesy of Waco Winery & Vinyards. Twinkling lights strung throughout the neighborhood, decorations merry and bright rested on counter tops and Christmas trees brimming with presents can only mean one thing; Christmas is in full swing. This year, get creative by giving a gift that helps Waco’s artistic and cultural community flourish. A number of local arts organizations offer memberships, local art and fundraising projects that make great presents for the art fanatic on any shopping list. Here are a few Waco treasures that’ll look great wrapped in a glimmering bow and placed under the tree, or stuffed in a bright red stocking on the fireplace mantle. Local art may be slightly challenging to wrap in decorative paper, but with ample sizes, colors, textures and techniques, there’s a piece for any wall needing a revamp. Purchase local art at a variety of places including Waco Winery, Anthem Studios, Christi’s Interiors, Cultivate 7Twelve, Dichotomy Coffee & Spirits, Klassy Glass, Stanton Studios, Studio Gallery, The Art Center of Waco’s traveling exhibition, Milo All Day, Gather Waco and The Findery. Memberships are often gifts that keep giving long past December, since there are a variety of events and performances taking place throughout the year. 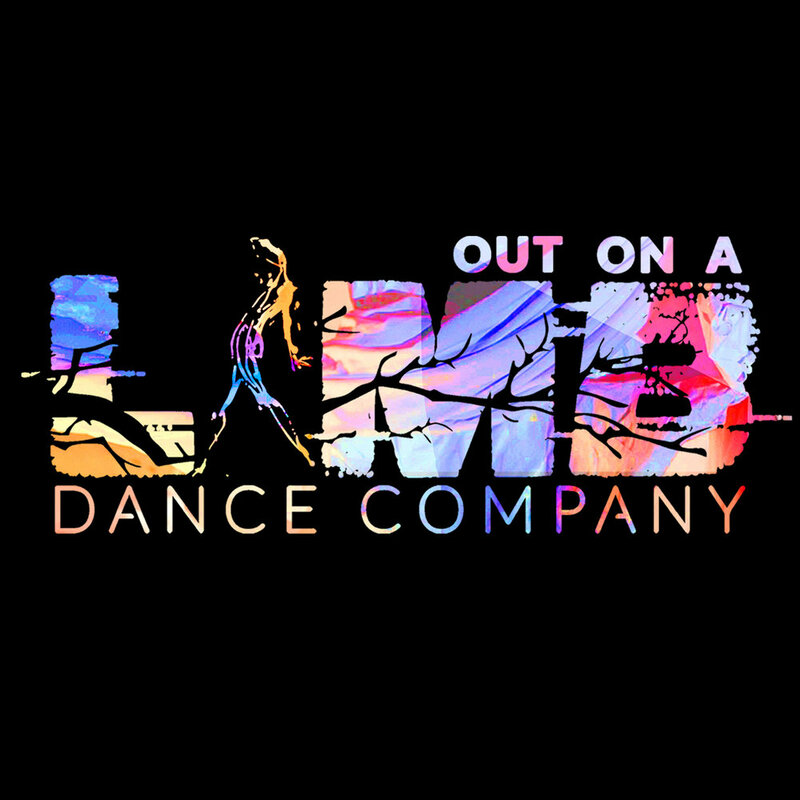 Grab memberships from Cultivate 7Twelve, Waco Civic Theater, McLennan Community College (MCC) theatre and Waco Symphony Orchestra to experience a variety of performance and artistic styles. Cultivate 7Twelve offers two membership programs: Sower and Culturist. Sower memberships begin at $12 a month Culturist memberships begin at $35. Waco Civic Theatre 2018-2019 season memberships begin at $85 and are valid until May 20, 2019. MCC theatre 2018-2019 season passes begin at $40 and are valid until April 28, 2019. Baylor Theatre and Waco Symphony Orchestra offers memberships for the academic year, so look out for these memberships this summer. Gather around the kitchen table with friends and family and enjoy playing cards with card deck that certainly isn’t cookie cutter. Waco 52 began in 2017 as an art exhibition in Austin, Texas, which showcased the talents of 52 artists from Waco and McLennan County. 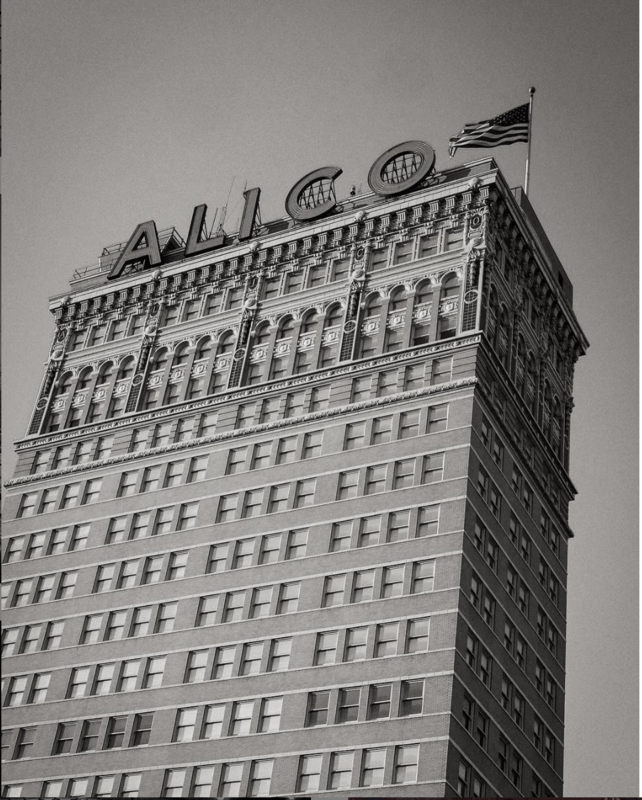 After the exhibition, the pieces were printed on decks of playing cards, many showcasing signature people and locations in Waco like Doris Miller and the Alico Building. Waco 52 allows residents to hold a piece of home in the palm of their hands and take it with them wherever they go. Retailing for $19.99, Waco 52 playing cards can be purchased at locations including Christi’s Interiors, Common Grounds, Cultivate 7Twleve, Dichotomy Coffee & Spirits, Dr Pepper Museum, Interior Glow, Waco Convention and Visitor’s Bureau and Wildland Supply Co. All proceeds go toward the growth and development of the creative sector in Waco. Purchase them online and see the full list of retailers at Creativewaco.org/Waco 52. A VIP pass to the Deep in the Heart Film Festival fits perfectly inside a Christmas card and strung upon the tree. Give any movie-lover in your life this all access pass, which is valid March 28, 2019 - March 31, 2019.The VIP pass is $100 and includes access to all film screenings, educational sessions, receptions, after-parties, a free festival t-shirt and swag bag. Deep in the Heart film festival is Waco’s premiere independent film festival and is one of the top 100 best reviewed festivals. This film festival runs from March 28, 2019 - March 31, 2019 and screens films made to connect with audiences and hit them deep in the heart. Give back to Waco by making a donation to the Doris Miller Memorial. Located in Bledsoe-Miller Park on the east bank of the Brazos River, the memorial honors the bravery and heroism of Doris Miller. Waco native, Miller was the first African American awarded the Navy Cross for his bravery during the attack on Pearl Harbor. Not only does this memorial recognize an incredible hero, it provides a peaceful location for solitude and reflection. This Christmas aid Waco in sharing Miller’s remarkable legacy. Donors are recognized here. For additional gift inspiration, head to the various creative businesses lining the streets of downtown Waco. With a variety of artistic mediums, there is surely something for everyone on your last minute Christmas shopping list. 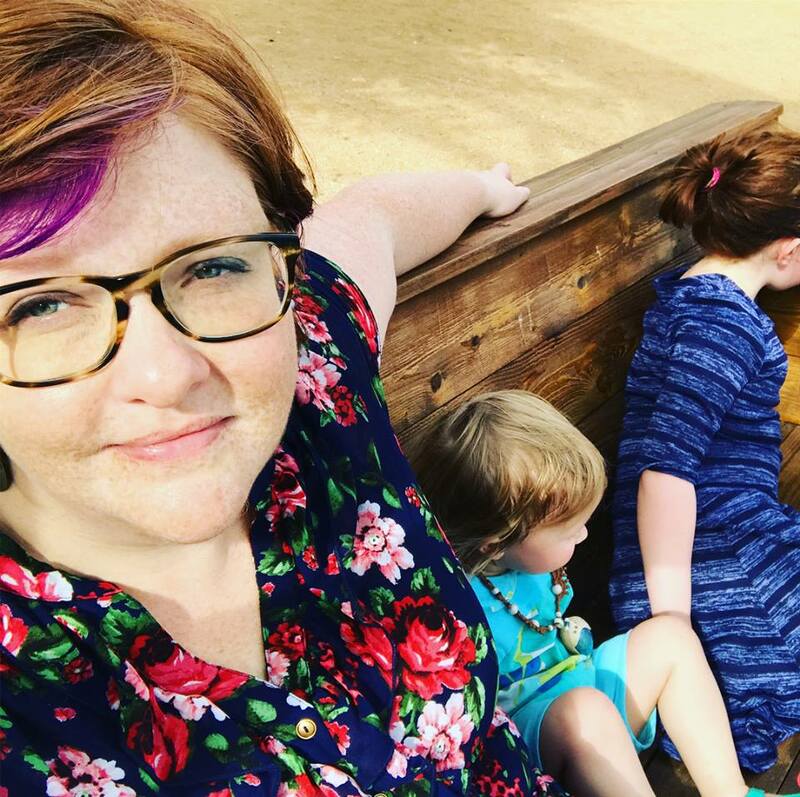 This blog post first appeared on Act Locally Waco. Blek le Rat creates a tribute to Kurt Kaiser at Apex Coffee Roasters at 324 South 6th Street. Blek le Rat talks to a crowd of viewers while painting. Blek le Rat uses spray paint and stencils to create his world-famous street art. For some, Thanksgiving may come in a can of cranberry sauce. This year, for Creative Waco and our partners, it comes in a can (several, actually) of spraypaint. Last week, “Blek le Rat,” world-famous Parisian street artist left his mark on Waco by painting six walls in the downtown Cultural District. This was a wonderful, culturally defining moment for our city, no matter how you look at it; but this particular project is testament to the vision and “leap of yes” of so many people. We’d like to take a moment to appreciate just what it took to get to this point. “Blek,” born as Xavier Prou, pioneered the use of layered stencil spray-paint techniques to achieve speed, stealth, and artistic vibrancy. His technique became the “go to” method for a generation of iconic street artists, including the infamous (and still technically anonymous) British artist, “Banksy” (of auction-shredding renown). Our thanksgiving story begins a year ago, when Summer Shine of Luna Juice Bar, saw the movie “Saving Banksy.” Being Summer Shine, she promptly tracked down Brian Greif, the star of that movie, to tell him that “Haight Street Rat,” the artwork saved in the story, needed to be brought to Waco. Brian said “yes”. Rebekah Hagman of Cultivate 7Twelve said “yes” to hosting an exhibition of street art to include the Banksy piece with outstanding work by local artists. 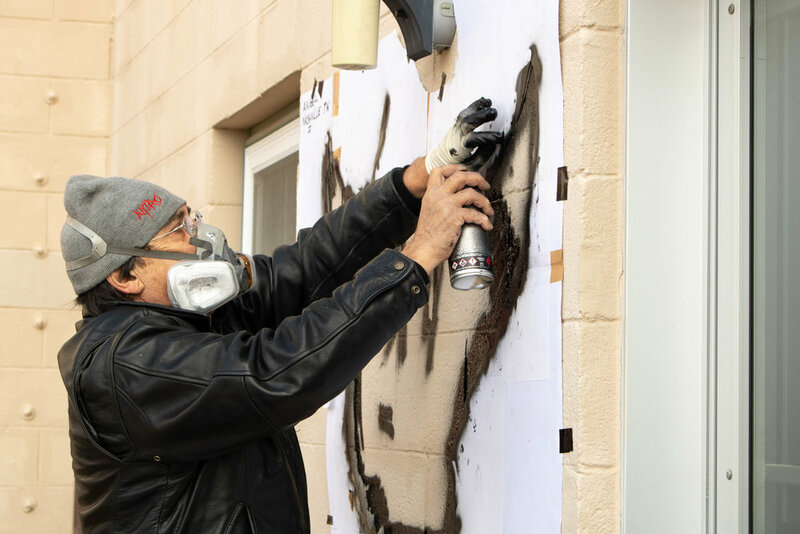 The evaluators of Creative Waco’s new Arts Match Program said “yes” to a grant for something that had never before been tried in Waco (actually, this was the first time Banksy’s street art had been exhibited in Texas!). And Texas Commission on the Arts said “yes” to making a matching grant. In hindsight, all this sounds easy, but at every step, a “no” would have killed the project. Thanksgiving #2 is for the Art Center of Waco staff and board, who provided the most exquisitely designed apartment in downtown Waco for hosting the visiting celebrity artists (kudos to architect Grant Dudley and architectural artist Bryant Stanton). Thanksgiving #3 is for Terry and Elaine Stevens and Liz Fraley, who helped sponsor this project the moment they first heard about it. Thanksgiving #4 is for our Board and staff at Creative Waco (who by now are veterans of making the “leap of yes”) for taking on the project management. Thanksgiving #5 is for all the businesses that bravely said “yes” to investing in a work of art on their wall without knowing what it would be! Thank you Brett and Lauren Jameson and partners at Dichotomy Coffee & Spirits and Apex Coffee Roasters, Shane Turner, Jonathan Garza, and their partners at Turner Behringer, Sam Brown, Jacob Martinka, David Stoneking, and the team at Brotherwell Brewing, Claire Sexton and the Board of Art Center of Waco, and the Hagmans at Cultivate 7Twelve. Thanksgiving #6 is for Rebekah Hagman and her team at Cultivate 7Twelve who hosted artist talks, parties, meetings, meals and tirelessly worked on all the stuff that doesn’t get noticed unless someone doesn’t do it! Thanksgiving #7 is for Luna Juice Catering, Brotherwell Brewing, and Balcones Distillery who sponsored the wrap party with awesome food and drink. Mmmmm. Thanksgiving #8 is for Brian Greif, Xavier (Blek le Rat), and Sybille Prou who poured themselves into our community, talking to high school, college and university students, artists, art lovers, passers-by, business and community leaders. 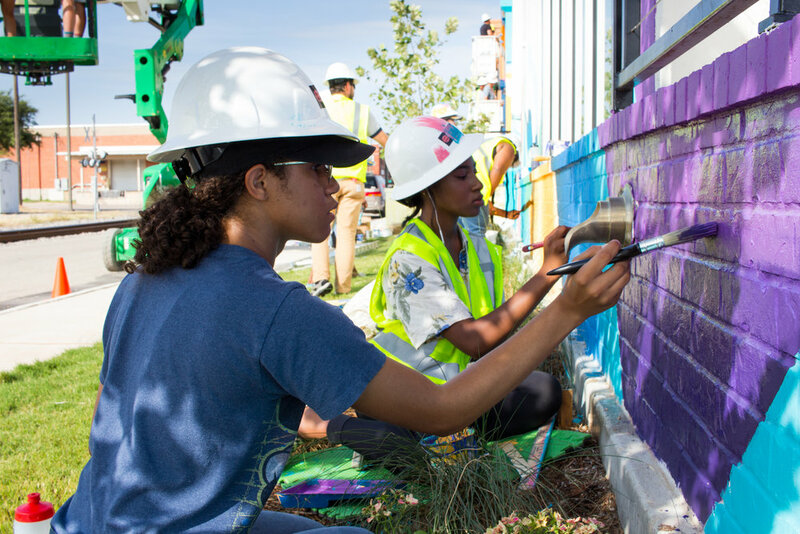 Despite the frigid weather conditions (we promised them a balmy Texas fall), they brought warmth and curiosity to the project, ensuring that each piece of art was significant and meaningful for its context. Blek le Rat’s Violinist stands tall outside of Dichotomy Coffee & Spirits at 508 Austin Avenue. 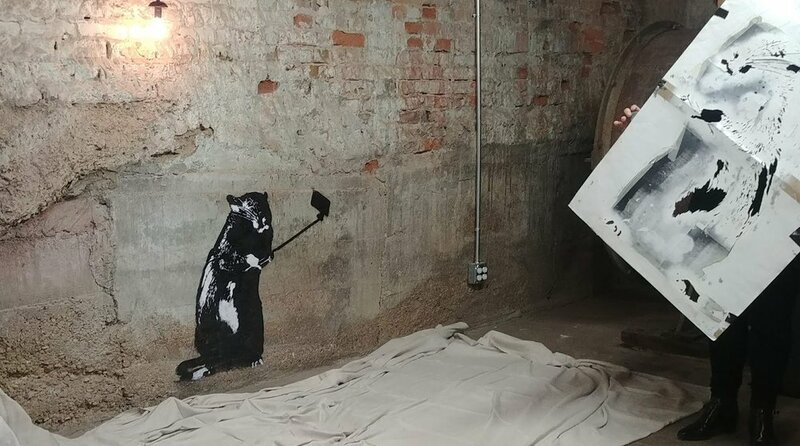 Blek le Rat’s Selfie Rat is located at Cultivate 7Twelve (The Undercroft) on 712 Austin Avenue. Brian Greif, star of film "Saving Banksy," stands with "Haight Street Rat." The film documents his preservation of the Banksy piece from a building in San Francisco in 2010. He'll be present for a lecture at Cultivate 7Twelve later in September. This September, Waco will make state history as the first city in Texas to host a piece of street art from world-famous and anonymous artist Banksy. Although the public doesn't know for sure who the mysterious Banksy really is, the street artist's work is highly recognizable and makes satirical commentary on political and social issues across the world. Throughout September, Waco will host "Haight Street Rat," a Banksy piece saved from destruction in San Francisco in 2010, at local art gallery Cultivate 7Twelve. Cultivate director Rebekah Hagman is on Conversations with Creative Waco this week to talk about how such a special piece of art is making its way to Waco. 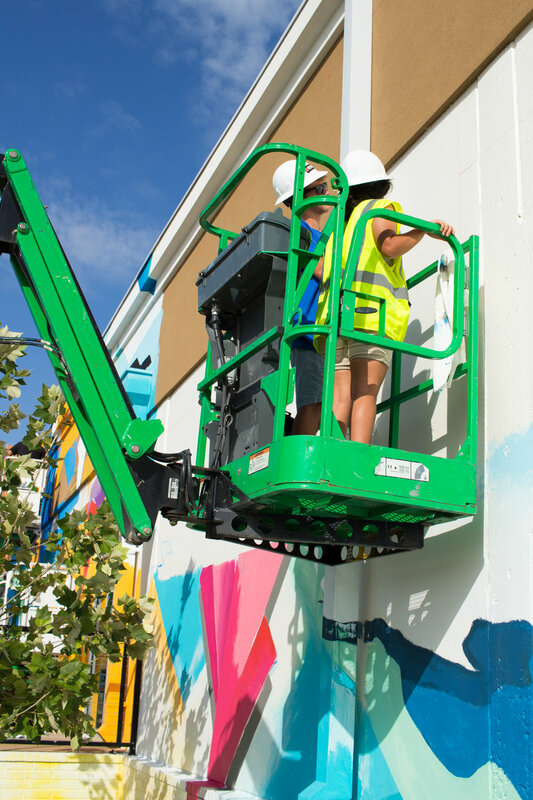 The exhibition, titled "Writing on the Wall," will feature local art inspired by street art and word-based creation. 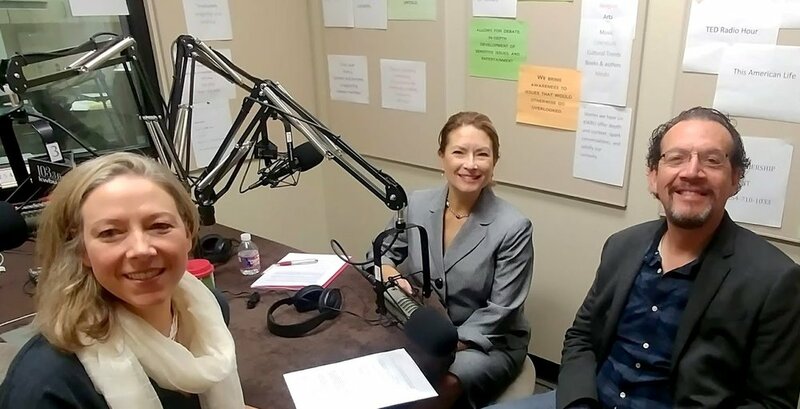 Hear the episode today at 8 p.m. on 103.3 fm KWBU, or listen to the recording here. In the meantime, check out this calendar (courtesy of Cultivate 7Twelve) of all the Banksy-related events happening at the gallery during the month of September. Don't miss special events with leading street art critic James Daichendt and "Saving Banksy" star Brian Greif. $30 per person. Tickets available here. 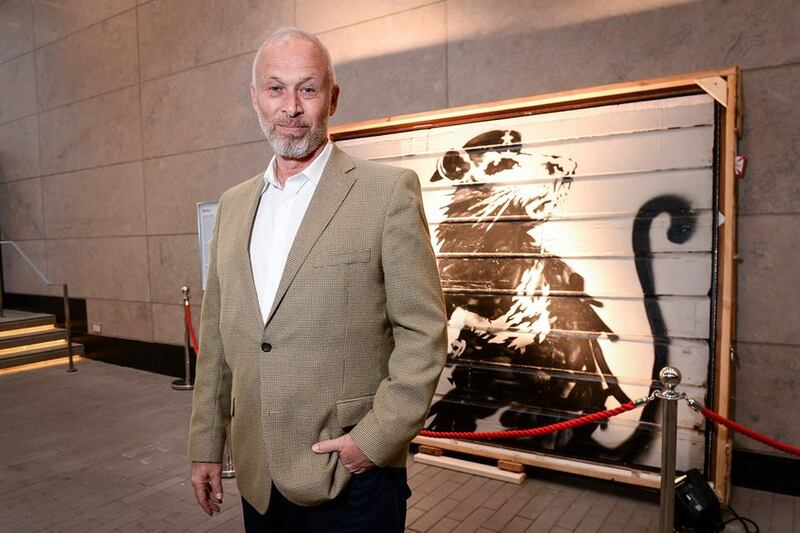 Includes screening of documentary “Saving Banksy” at the Hippodrome; gallery reception; champagne bar and light fare from Luna Juice Catering; lecture and Q&A from prominent art collector and star of “Saving Banksy,” Brian Greif. Cocktail attire requested. First chance for the public to see the installation for free. Includes live music; champagne bar from Luna Juice Catering; additional food vendors Summer Snow and Sweetness Desserts. 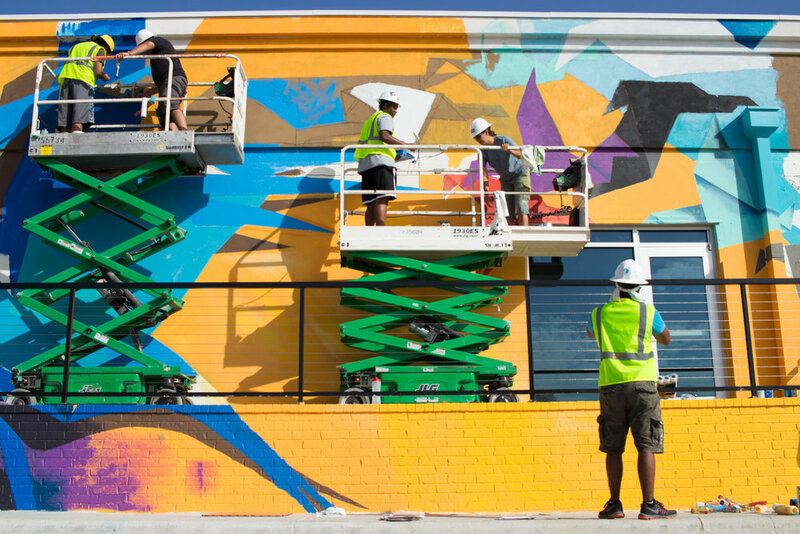 Join us for this rare opportunity to hear from the top Street Art Critic in the US. Jim Daichendt is an art critic and journalist for KECT's Artbound, the nation's largest public television station and the The San Diego Union Tribune. In addition, he is the chief editor of the academic journal, Visual Inquiry: Learning and Teaching Art. Daichendt holds a doctorate from Columbia University and graduate degrees from Harvard and Boston universities. Not to be missed! $70/$85 per person. Tickets available here. $38 per person. Tickets available here. Join us for a special twist on southern eats & hospitality as Luna Juice Catering appeases our palates with a myriad of delicious brunch items inspired by color & craft. Enjoy Chef Summer's vegetarian spin on a southern classic, Chicken & Waffles, paired with fresh brunch bellinis. Q&A-style panel discussion with co-curators of exhibition “Writing on the Wall,” including star of “Saving Banksy” Brian Greif, Creative Waco executive director Fiona Bond, Cultivate 7Twelve director Rebekah Hagman. $12 per person. Tickets available here. $5 per person. Tickets available here. Celebrate the closing of the “Writing on the Wall” exhibition with Brian Greif. Includes pastries and coffee. Stephen Heyde, The Mary Franks Thompson Professor of Orchestral Studies and Director of Orchestral Activities at Baylor University, and Music Director/Conductor of the Waco Symphony. Photo provided by Stephen Heyde. Baylor Symphony Orchestra celebrated its four time consecutive win of the American Prize in Orchestral Performance in the College/University Division this summer. The Baylor Symphony is the first ensemble across the competition to win first place for four consecutive years in a single category, which is significant because the American Prize recognizes musicians ranging from the high school to professional levels. Leading the Baylor Symphony Orchestra is Stephen Heyde, The Mary Franks Thompson Professor of Orchestral Studies and Director of Orchestral Activities at Baylor University, and Music Director/Conductor of the Waco Symphony. On this episode of Conversations with Creative Waco, Stephen dissects the role of a conductor and shares what the American Prize win means to him and the ensemble. Stephen has conducted festival orchestras throughout the country and has been involved in music for more than 50 years. The Baylor Symphony Orchestra is set to start the school year off strong with their first concert on Sept. 27, but the fun doesn’t stop there. There are more than a dozen opportunities to see this noteworthy ensemble throughout the Fall 2018 and Spring 2019 season. 7:30 p.m.-9 p.m. on Sept. 27 at Baylor University’s Jones Concert Hall in the Glennis McCrary Music Building. 7:30 p.m. on Feb. 8, 2019 at Baylor University’s Jones Concert Hall in the Glennis McCrary Music Building. 7:30 p.m.-8:30 p.m. on May 2, 2019 at Baylor University’s Jones Concert Hall in the Glennis McCrary Music Building. 7:30 p.m.-8:30 p.m. on Oct. 8 at Baylor University’s Jones Concert Hall in the Glennis McCrary Music Building. Baylor Symphony Orchestra will collaborate with the Baylor Campus Orchestra. This performance is free. 7:30 p.m. on Oct. 13 at Baylor University’s Jones Concert Hall in the Glennis McCrary Music Building. Baylor Symphony Orchestra will collaborate with the Baylor A Cappella Choir. This performance is free. 7:30 p.m.-9:30 p.m. on Nov. 6 at Baylor University’s Hooper-Schaefer Fine Arts Center. Baylor Symphony Orchestra will collaborate with the Baylor Opera Theater. Tickets for this concert will be available at the Baylor University Theater Department’s Box Office. Call 710-1865 or email theatreboxoffice@baylor.edu for additional information. 7:30 p.m.-9:30 p.m. on Nov. 7 at Baylor University’s Hooper-Schaefer Fine Arts Center. Baylor Symphony Orchestra will collaborate with the Baylor Opera Theater. Tickets for this concert will be available at the Baylor University Theater Department’s Box Office. Call 710-1865 or email theatreboxoffice@baylor.edu for additional information. 7:30 p.m. on Nov. 8 at Baylor University’s Hooper-Schaefer Fine Arts Center. Baylor Symphony Orchestra will collaborate with the Baylor Opera Theater. Tickets for this concert will be available at the Baylor University Theater Department’s Box Office. Call 710-1865 or email theatreboxoffice@baylor.edu for additional information. 2 p.m.-4 p.m. on Nov. 11 at Baylor University’s Hooper-Schaefer Fine Arts Center. Baylor Symphony Orchestra will collaborate with the Baylor Opera Theater. Tickets for this concert will be available at the Baylor University Theater Department’s Box Office. Call 710-1865 or email theatreboxoffice@baylor.edu for additional information. 7:30 p.m.-9:30 p.m. on Nov. 29 at Baylor University’s Jones Concert Hall in the Glennis McCrary Music Building. Baylor Symphony Orchestra will collaborate with the combined choirs for the annual “A Baylor Christmas.” Tickets will be available at https://www.baylor.edu/studentactivities/index.php?id=944508. 7:30 p.m.-9:30 p.m. on Nov. 30 at Baylor University’s Jones Concert Hall in the Glennis McCrary Music Building. Baylor Symphony Orchestra will collaborate with the combined choirs for the annual “A Baylor Christmas.” Tickets will be available at https://www.baylor.edu/studentactivities/index.php?id=944508. 3 p.m.-5 p.m. on Dec. 2 at Baylor University’s Jones Concert Hall in Baylor Universities Glennis McCrary Music Building. Baylor Symphony Orchestra will collaborate with the combined choirs for the annual “A Baylor Christmas.” Tickets will be available at https://www.baylor.edu/studentactivities/index.php?id=944508. Baylor Symphony Orchestra will also present a Children’s Concert on Nov. 13 at Baylor University’s Waco Hall, but this event is only available for fourth and fifth grade elementary school children. 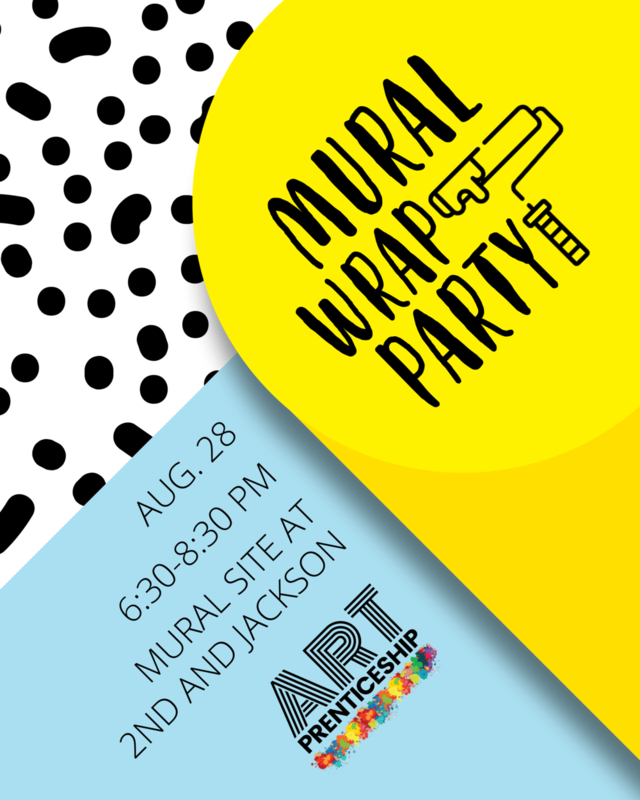 Left: Join us for the official Mural Wrap Party and enjoy food, music, and origami! Above: Family and friends of ArtPrenticeship artists and students got a first look at "1,000 Hopes for Waco" after its completion earlier this month. Photo property of Waco Tribune-Herald. When you grow and nurture a living thing, you must have a vision of what will take shape. This is true whether you’re a gardener planting a sapling tree, or a new parent meeting your infant and then guiding her toward maturity. All endevours that require this tending and nurturing have learning seasons and times of challenge or growth. This summer, it has been a true delight to witness the ARTPrenticeship program take shape and become a living and breathing, powerful force. It’s claimed a space in Waco and has left a beautiful mark on our city’s landscape and soul. The souls for whom this program has had the primary impact are now preparing for their senior year in Waco ISD. 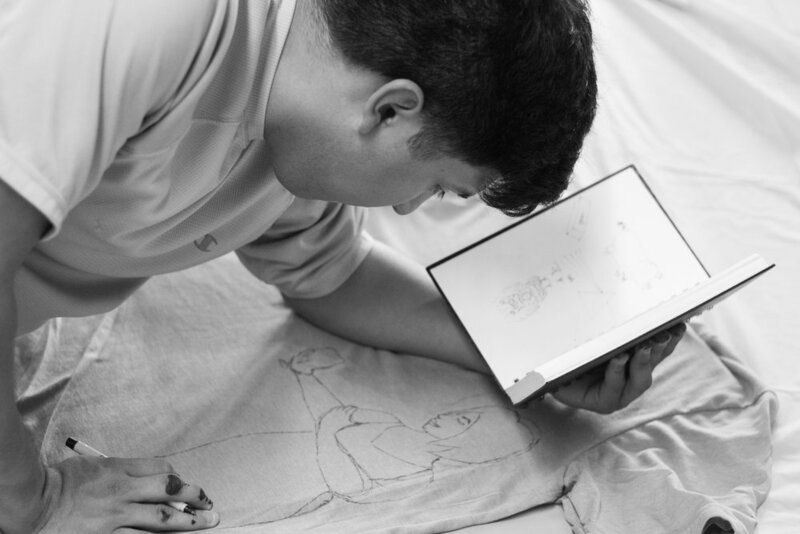 Our apprentices took hold of the vision shared by mentors, and made it their own. Each one of these young people has left an indelible mark on the star of ARTPrenticeship, Creative Waco, and all of our partners. I find myself humbled, joyful and deeply satisfied when I think of our overall collaborative effort. 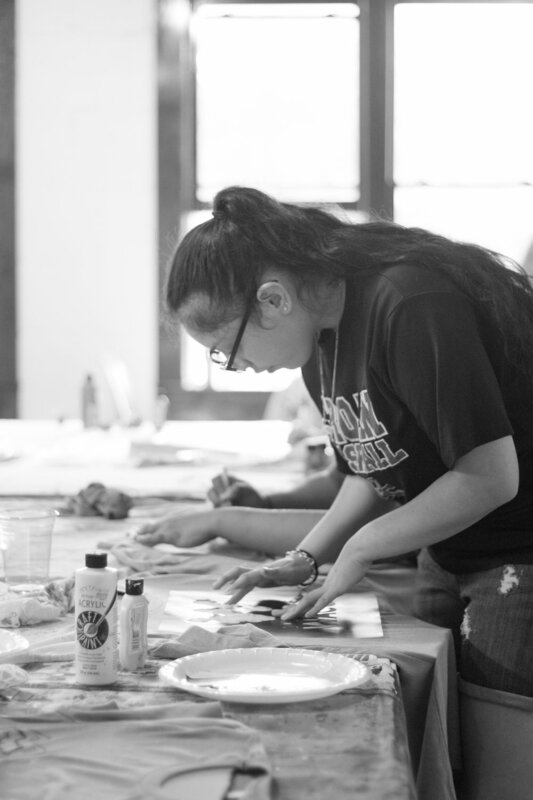 In the span of a summer, with remarkable and invaluable support from our community, I had the privilege of connecting the dots and creating the right structures to support out mentor artists and 10 apprentices in their work. Many things went according to plan, and the things that did not were overcome or our adaptations became an improvement to our original vision. Those of us in the mentor positions grew and learned right alongside these high school students and their voices made this experience a truly rich one. With each task accomplished, skill learned and goal completed, we could see a part of our present and future city connecting and soothing themselves in work that they took pride in. While all of this great (challenging, hot, sweaty) labor was happening on our work site, there was an equally significant work happening off site. This work manifested itself in the generosity and encouragement of supporters and sponsors, and in the plain old enthusiasm of anyone and everyone who connected with the project. Each of you lifted up our apprentices and helped them see themselves in new light. Thank you. There is nothing like sharing a vision and then seeing it spread! As we move toward the launch event to celebrate our first completed mural, we’re already beginning to plan and dream again. I believe that ARTPrenticeship has a special part to play in the growth and change in Waco today. It inspires, challenges and connects us as humans in community and celebrates the best in us all. The stories of these young people are writ large and embedded across a vibrant and breathtaking canvas on 2nd and Jackson in downtown Waco. Their stories, imprinted on our hearts, are paired with their hard earned determination and growing confidence. They have so much to be proud of when they see those stunning forms on the wall come together. They have memories with each other and their generous artist mentors and the skills they gained. Their resumes will speak clearly for them, their hearts and minds are primed for more creative work and they’re one step closer to being who they are each meant to be. The work was the mural, but the mural was in some ways only a lovely by-product of this project; I can’t wait to see what happens next for each of our apprentices and artists. This is new. 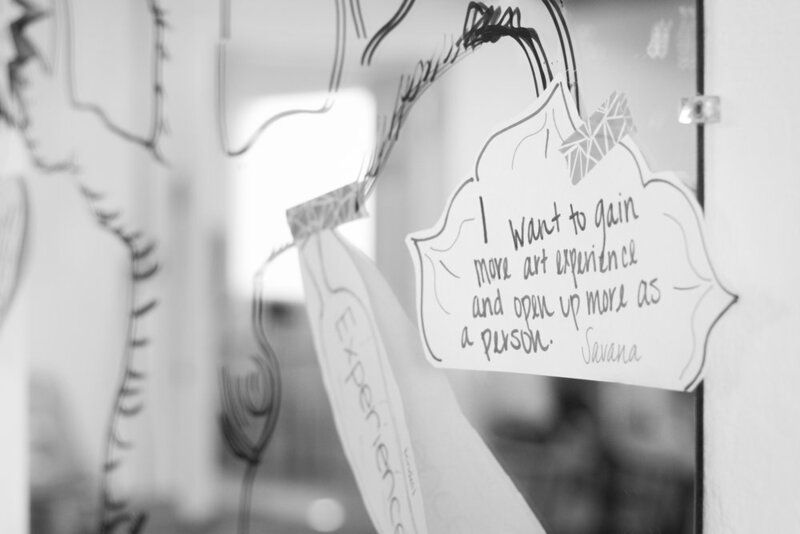 This is not your typical internship or arts program. It gets your attention and astonishes you at what can be achieved. The vision I hold in my mind’s eye is of ARTPrenticeship becoming a bold and beautiful voice in the chorus of artists and creative opportunities that work together in Waco. With our city’s youth at its core - it has the power to heal, grow and connect like nothing else. For myself, this project has lifted me up, provided me with new vision and renewed passion. I am deeply thankful to have been a part of seeing 1,000 Hopes take flight this summer.